Operating reliability is the decisive criterion for fire protection systems. Perfectly functioning products are the guarantee that water will be delivered to put out a fire. We not only provide our customers with pumps but also all other equipment forming part of a fixed system for fire-fighting. We offer the necessary sprinkler pumps, pressure booster systems and all-in solutions from a single source. This shows once more that PEW can provide both custom-engineered solutions and standard systems. All our fire pumps are capable of furnishing not less than 150% of rated capacity at head not less than 65% of the rated head. The shut off head does not exceed 120% of rated head. The fire pump starts when the pressure in the fire sprinkler system drops below a threshold. The sprinkler system pressure drops significantly when one or more fire sprinklers are exposed to heat above their design temperature and subsequently open, releasing water. Alternately other fire hoses, reels or other fire fighting connections are opened, causing a pressure drop in the fire fighting main. 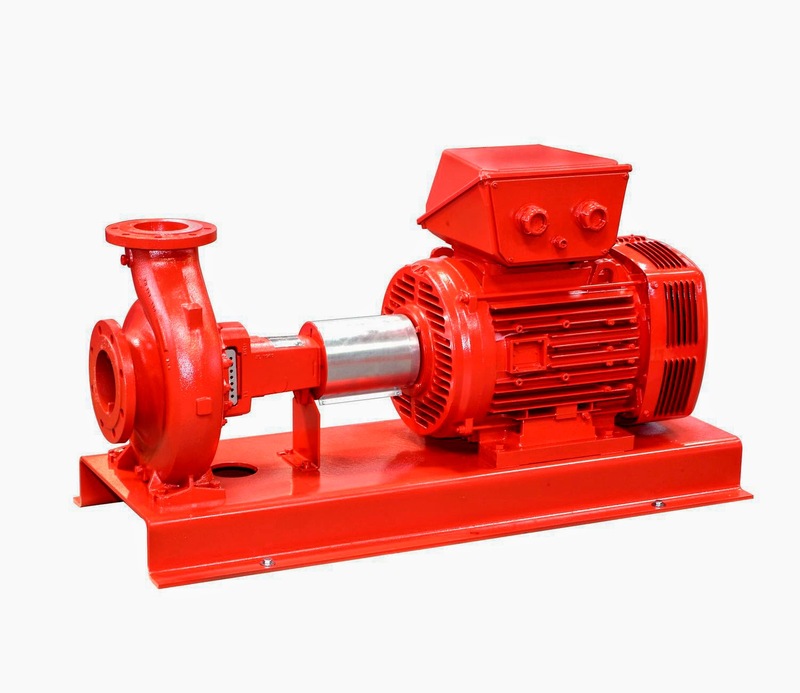 Single-stage back pull out end suction Fire-fighting Pump. 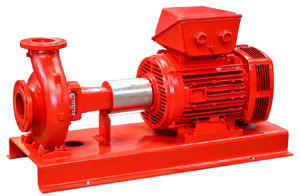 Horizontal / Vertical Multi-stage Fire-fighting Pump. Vertical Multi-stage, Inline Fire-fighting Pump. Horizontal Split Case single / double suction Fire-fighting Pump. 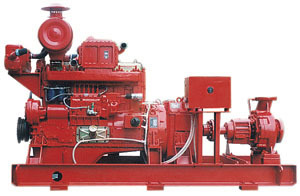 Diesel Engine Fire-fighting Pump Unit. Complete Fire-fighting Water Supply Equipment. PEW provides complete fire fighting system along with diaphragm tanks, control panels, mounting stands, pressure switches, valves, headers and pipings. Controllers can be supplied free standing or mounted on the base plate, completely wired and connected to a single or multi-pump system. PEW is one of the 3 fire fighting system manufacturers in India who offers these fully customized complete package systems.